Tag Archive | "College Fun"
As a college student, chances are good that you have champagne taste and a beer budget. In other words, you want and deserve to do fun things during your spare time, but you’re not exactly rolling in dough to afford the nice dinners out, endless shopping sprees or even popcorn and tickets at the movies. If you attend college in a major city, you might dream of attending a professional sports event. While the ticket prices for an NHL or MLB game may be more than you spent on books last semester, semi-pro games tend to be just as fun and way more affordable. Google your college town name and “semi-pro sports” and see what pops up. If your college is in an area that hosts spring training baseball games, you can often purchase a general admission lawn ticket for very little money and watch the pros play a game from the comfort of a blanket. Some concert tickets may be affordable at first, but once you add in parking and a post-show meal it can get expensive quickly. Instead, check the local paper and watch for posters advertising outdoor concerts. Typically held in a park or amphitheater, outdoor concerts are often free or cost a few bucks for a ticket. You can usually bring snacks and beverages in plastic containers with you and enjoy a fun evening of music. While it can be fun to head out and hit the local bars, the tabs add up pretty quickly. Instead, host some parties at your place and encourage everyone to bring a favorite food or beverage to share. You can even up the cultural ante a bit and purchase high quality beer like some Guinness Nitro IPA for your gatherings. 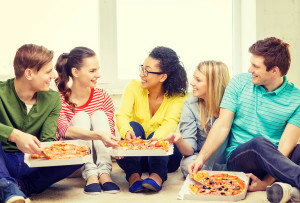 Two great ways to socialize with other college students are to host a craft night or game night. If you are feeling crafty, check out Pinterest for ideas and invite several friends over to share a creative evening together. Crafts don’t have to be expensive—for a few bucks you can buy supplies to paint wooden ornaments or picture frames. Game nights are also a budget friendly option. Check out thrift stores for gently-used copies of Monopoly or Clue, pop a few bags of microwave popcorn and stock up on soda when it’s on sale. Google “things to do in (name of your town)” and you might be amazed at how many free or cheap events are coming up. You might find spring carnivals that are open to the public, art museums that offer free admission for college students, farmer’s markets where you can purchase inexpensive fresh produce, or even a planetarium that offers shows for a few bucks. Sometimes it’s so easy to focus on what’s happening on campus, it can be easy to miss some amazing cheap events that are within biking or driving distance. March (Hunger) Madness: GrubHub Ranks Hungriest Colleges in the U.S.
No two things go together better than game day and takeout from your favorite spot. Whether it’s pizza and wings, burgers and fries or foot-long subs and chips, the official start of March Madness means an inevitable spike in restaurant business that only the NCAA Basketball Championships can generate. In honor of March Madness, food takeout and delivery app GrubHub provided Huffington Post with a ranking of the hungriest colleges in the U.S., determined by comparing the average number of orders per day over the three weeks leading up to last year’s March Madness to the number of food orders on game days. It’s pretty clear that students need more sustenance for picking brackets than they do for studying. So which colleges were the hungriest? Here’s a look at the top five. 5. American University, Washington, D.C.
GrubHub reported a 16 percent increase in AU orders during last year’s March Madness game days. Niche.com picked Wingo’s in Georgetown as a top 24-hour AU spot and also one of the best places to get wings. Although the AU Eagles did not qualify for the tournament this year, the team did participate last year, earning a bid from their win at the 2014 Patriot League Tournament. Ultimately, the Eagles lost to Wisconsin in the second round of the championships, 75-35. But that loss didn’t stop the students from coming in fifth for hunger. March Madness game days in 2014 meant a 17 percent jump in food orders from OSU students. Unexpectedly, Niche.com’s pick for best wings in the area went to franchise Buffalo Wild Wings, which was also listed as a student favorite alongside fellow chains Chipotle and Raising Cane’s. The OSU Buckeyes will fight for the title again during this year’s March Madness, which marks their seventh running season at the tournament. Last year, the Buckeyes barely lost their first game in the tournament to University of Dayton, 60-59. Perhaps the hungry students at OSU were stress eating. 3. George Washington University, Washington, D.C. In third place is G-Dubya with a 20 percent game-day order increase. Although the Colonials have never made it to the NCAA Championship, last year the team got the closest they’d ever been (they lost their bid to Michigan State). So why so much food? Just because GW wasn’t playing, the students stayed true and supported their neighbors from American and Georgetown, two of the other universities in D.C.
A whopping 30 percent increase in game day orders? Hungry Howie’s and Buffalo Wild Wings are listed as the best pizza and best wings (respectively) in the area, but, true to the diverse midwest fare, there are also several Asian and sushi places on the Niche list for MSU best off-campus dining. The students at MSU are no strangers to March Madness, as this year is the Spartans’ 29th trip to the NCAA Championship. The number one hungriest college in America boasts a 31 percent boost in game day food ordering. Antonio’s Pizza, Wings & Pasta is the area’s highest rated pizza place on GrubHub, but with 14 restaurants just within a quarter mile of campus, Syracuse students are eating more than pizza and wings during games. Unfortunately, SU’s self-ban on participation in this year’s tournament will likely push their hungry ranking down, but that doesn’t mean students won’t still be setting up brackets and strategizing outside their home team. No matter if Orange is on the court, basketball fans in New York will be watching. Most college students don’t have much extra spending money on hand these days after paying for tuition, books, meals and room and board. Entities such as cable television and trips to concerts or the movies are luxuries. However, thanks to today’s technology, many higher education learners can have a great time with some affordable entertainment options that won’t break the bank. Here are a few ways they can save a few dollars each month. Cable television costs continue to increase forcing many college students to forego traditional cable subscriptions in favor of Internet streaming. Providers such as Hulu, Netflix and Amazon Prime are making a killing on college campuses because they affordable and mobile. Students can watch free movies, trailers and current and old television shows from their home television via a streaming media player such as a Roku, Google Chromecast or Apple TV or through their tablets or smartphones. They can save up to several hundred dollars a year. Renting movies is also a great option to spending hard-earned cash at the movie theatre. Online, you can rent movies from Redbox, Amazon, Netflix and iTunes. Redbox also has a kiosks at nearly every grocery store, so there’s another option for students to save a few bucks. Living on a shoestring budget also means not spending a large amount of money on musical entertainment. For students who do not want to pay a lot for music can download some free songs from iTunes or GooglePlay. For streaming songs, there are many options including Pandora or Spotify. However, for Samsung Galaxy users who want to be in charge of the music they listen to can do so with Milk Music, an ad-free, Internet radio service that allows consumers to personalize listening experiences. Milk Music is available in two tiers with more than 200 stations programmed. The free version allows six song skips per hour. The premium service has off-line listening, unlimited song skips and a sleep timer. Playing video games is a great way for college students to not only reduce stress, but is also a cheap way to spend an evening. For students who own a PS4, PS3 or PS Vita, they can download some free games, add-ons and apps from Sony Entertainment. Users can also download free video games from CNET and Games.com. Even though there are many on-contract smartphone plans that are affordable, college students can save even more by purchasing a prepaid cell phone. There are several providers that offer services and devices that can help save a few dollars each month including Consumer Cellular, Net10 and ChitChat Mobile. Another affordable phone option for students is purchasing used or refurbished smartphones and joining family phone plans. College campuses are a haven of entertainment events such as plays, concerts, lectures, poetry readings, sporting events and more. Student unions typically have discounted tickets for these types of activities, as well as some off-campus events such as movies, museums and other entertaining ventures. A great way to draw college students off campus is through some great entertainment deals. Local coffeehouses, retail stores and restaurants typically offer daily deals on sites such as Groupon, Woot and LivingSocial. Students can receive large discounts on a variety of items, often 50 percent or more! Until DormDuels.com, many prom pics were happily buried at the bottom of a cardboard box. 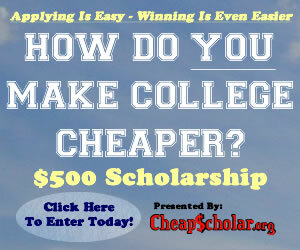 No more, thanks to the latest contest sponsored by the competitive social media site for college students. Titled “Past Prom Pics,” the current contest encourages Facebook fans and active users of the year-old site to dig out the shots that defined that high school night and then proudly post for all to see. The photo with the most votes wins a $100 Visa gift card, with one lucky submission randomly selected to receive an edible arrangement, a.k.a. free fruit. So begins one’s entry into the DormDuels’ experience, where everything seems to be on the table, and may even include the table, when it comes to offering insight on college life using a game-changing twist. The brainchild of management/marketing double major Michael Neel, founder and CEO, at Florida Atlantic University, DormDuels.com, founded in August 2011, is reshaping the way brands can effectively interact with college students by creating an experience that connects fun rewards with photo/video sharing and contest campaigns. Neel’s business partner and co-founder of this marketing platform is fellow FAU student Mohammed Ibrahim, who serves as chief technology officer. Together the duo has infused a humor-filled combination of creativity, demographic research and technical know-how to design a site entirely around what college students experience during their college years. The result is an innovative interactive adventure with Featured Contests ranging from the Sickest Tatoo” and “Ragin’ Pic of the Month” to “Greatest Game Day Photos” and “Sexiest Costume Contest.” Prizes include everything from a Victoria’s Secret gift card to the ultimate party packs complete with a $50 gift card, mini koozies and….wait for it…an ice luge. Another fun feature for the company’s college-age audience is that DormDuels.com allows users to follow each other similar to Twitter’s setup. In so doing, more votes can be gained, more prizes won and more fans of DormDuels.com discovered. Add to that the company’s campus rep program, aptly named “CampusCrazzies,” and DormDuels.com connects even more with students in that the reps can earn school credit and win exclusive prizes just for signing on with the DormDuels.com team. Since its founding in a Florida Atlantic dorm room and in addition to tons of gift cards, tens of thousands of votes and hundreds of entries, DormDuels.com has given away 42-inch HDTV’s and full weekend getaways among its thousands of dollars in prizes to date. And just as entering any of the site-sponsored contests is easy, so is joining the DormDuels.com experience via Facebook from the company’s website. Clearly, fun plus the chance to win free stuff makes DormDuels.com worth a daily visit.